Scion is giving a free care package to US military personnel. This article originally appeared on ctwatchdog.com. The following is a HUGE list of freebies and discounts available for veterans on November 11, 2012. Card Gnome is allowing you to send a free card to a military member. Brides Across America is having a nationwide event November 6-24 that gives women marrying a military member or women in the military a free wedding gown for their upcoming nuptials. You can visit Brides Across America to find out which wedding shops in your state are participating in the event. You’ll need to contact the wedding shop near you to register for the event. Starting this week, there is a program launching that will allow Active and retired military personnel free and discounted tickets to theaters around the country. Here in Connecticut, it looks like the Hartford Stage is participating. 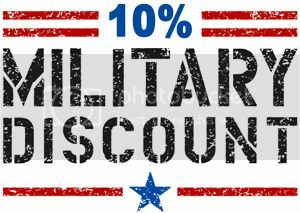 I’ve tasks one of my faithful readers, Joe S., with coming up with a list of discounts and freebies for military personnel and Vets.